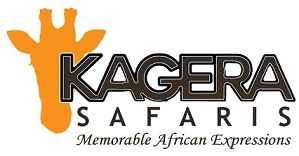 Kagera Safaris started from a passion for travel and community development. We are passionate about taking travelers both on and off the beaten tracks of Uganda and Rwanda with authentic African experiences. We love to link travelers with communities where they are able to visit a home or village and interact with communities which benefits both the traveler and the local people. We will plan your unique safari depending on your preferences, price and timing which makes each safari unique depending on the travelers. We organize Gorilla trekking safaris and chimpanzee trekking safaris, starting from advising the best months for travel to purchasing the permits on your behalf as part of the entire package. With birding safaris we put together some of the best birding itineraries depending on number of days and habitats you prefer e.g Savannah, forest, woodland, swamp/wetlands. We advise you where the different species are located so that your itinerary is tailor made to the species you are seeking. Wildlife safaris bring you close to the large mammals like the famous Big Five. Community and cultural tours allow you to experience the country more than just the wildlife but the people who have co-existed with it for centuries, you are able to visit a home and if interested you can spend a night with a local family. Hiking tours is for those who seek adventure of the wilderness, you have the Virunga mountains in southwestern Uganda and northern Rwanda, Mt Rwenzori in western Uganda and Mt Elgon in Eastern Uganda offering great hiking opportunities ranging from one day to 7 days in total. For the extreme adventure experiences, choose white water rafting on River Nile, Kayaking, bungee jumping, Squad biking, horse back safaris in Lake Mburo. We shall organize your entire safari from the itinerary, to purchasing permits, provide the car and driver guide, book and pay for the lodging.